Best NDA preparation books. About to appear in NDA NA exam and looking for best books to pass? Best way to pass NDA exam is to read books. Check out recommended cheap and discounted books for NDA preparation. 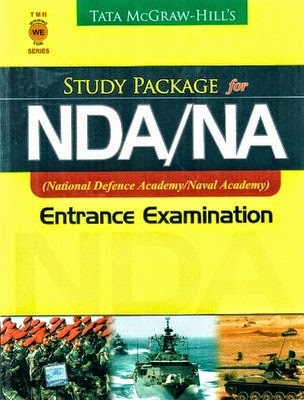 NDA and NA exam is one of the toughest entrance exams for 10+2 passed candidates. If a candidate want to join Indian armed forces after 10+2, NDA is one of the options. One need to prepare well to pass NDA NA examination and reading selected books will help you a lot. Here we have listed few good NDA exam books. 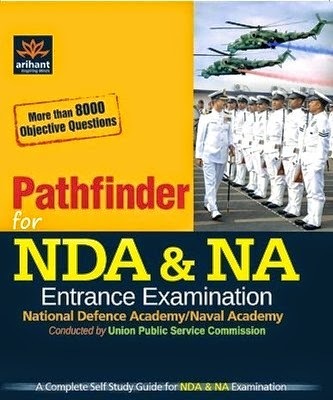 Pathfinder for NDA & NA entrance examination book published by Arihant publications does cover Mathematics, English and all other topics of General Ability Test. Mittal, Bisht, and Neetika Goyal are authors of this book and have carefully chosen important topics of NDA exam. Best techniques are provided in this book for passing NDA exam. Also four previous NDA question papers are there in the book. So this book of NDA exam is a bundle of study material and question papers. 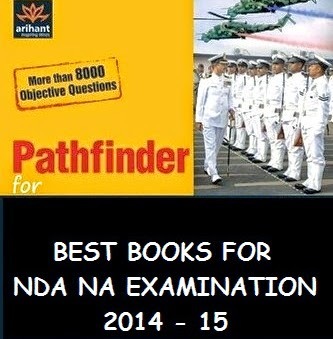 Pathfinder for NDA & NA entrance examination is a good book to consider for preparing NDA written exam. Tata McGraw-Hill's Study Package for NDA/NA is also best book to study while preparing for NDA exam. This book is compiled by many subject experts to provide best study material for the defence aspirants. Tata McGraw Hill's NDA book covers the following topics.